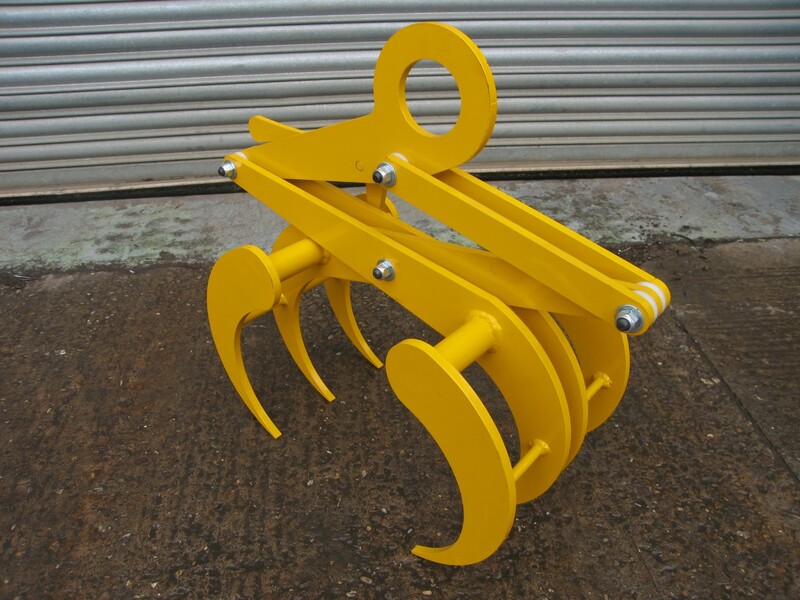 The lifting claw is an improved lifting solution developed to replace the current equipment of a major international client operating in the aerospace industry. Visit site to evaluate customer requirements, and reverse engineer existing lifting tool. Make improvements to design, produce CAD drawings and manufacture Raw Material Lifting Claw. The lifter is made up of 12mm thick laser cut plates that pivot closed to clamp around the raw material. Typical material 6″ Ø – Maximum material 10″ Ø. The unit has been rated to a safe working load of 250 KG and proof load tested to 1.5 x SWL at 375kg.